Is tonight the night Kemba finally puts one in the win column against LeBron? Kemba Walker and the Charlotte Hornets have plenty of incentive to defeat LeBron James and the Los Angeles Lakers at Staples Center on Friday night. With eight games remaining in the regular season, the 10th place Hornets are sitting just 1.5 games back of the eighth seeded Miami Heat, and they simply can't afford to drop any more winnable games. Since entering the NBA in 2011, Kemba is 0-23 against LeBron-led teams in the regular season. The only time their teams faced off in the NBA playoffs was back in 2014, when LeBron's Miami Heat squad swept the then-Charlotte Bobcats in the first round. Tonight's showdown at Staples Center will offer Walker one of his best opportunities yet to finally put one in the win column. The Lakers, 33-42, have already been eliminated from playoff contention and will be without a good chunk of their roster including Lonzo Ball, Brandon Ingram and Josh Hart, all of whom are out for the season. 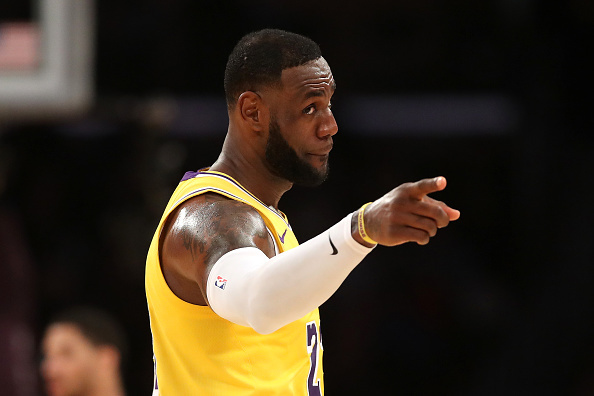 That said, LeBron sat out Wednesday night's loss to the Utah Jazz, so he should be good and rested for the Friday night matchup against Kemba and co.